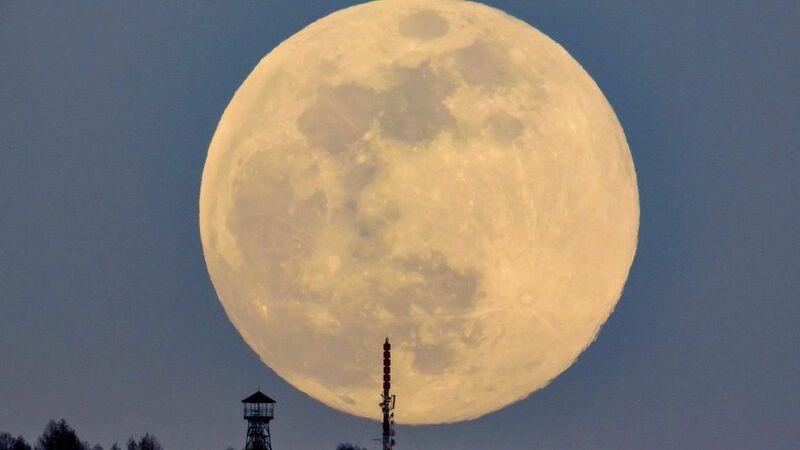 Supermoons occur when the Moon is closest to the Earth, making it appear bigger and brighter than normal. 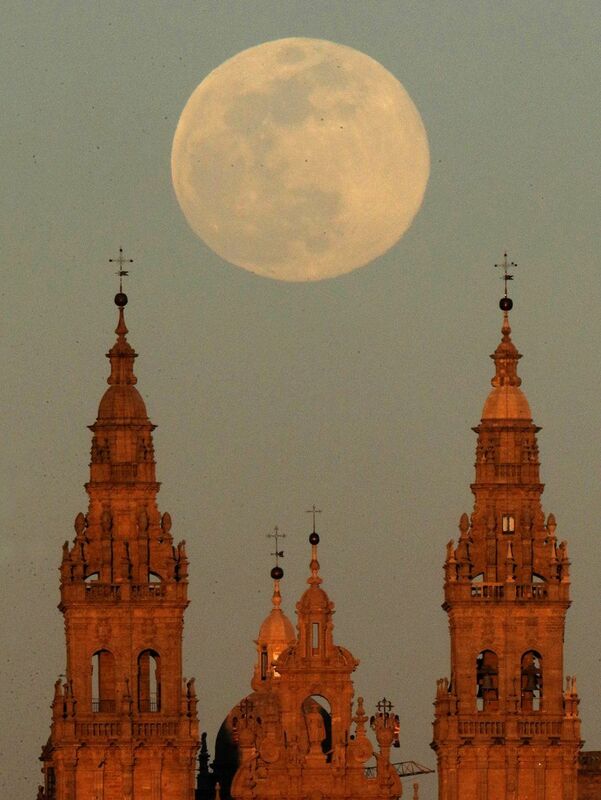 A view of the super worm moon above the Santiago de Compostela cathedral in Spain. The super worm moon coincides with the spring equinox, when the length of day and night are almost the same. According to National Geographic, the names for full moons often come from traditional Native American tribes. The super worm moon’s name was chosen as worms are said to emerge from the soil around the time of the spring equinox. A view of the super worm moon in Budapest, Hungary (above). The last supermoon was in February and was named a “super snow moon”.